On Saturday the 27th of July I will be teaching an open seminar in Cornwall! 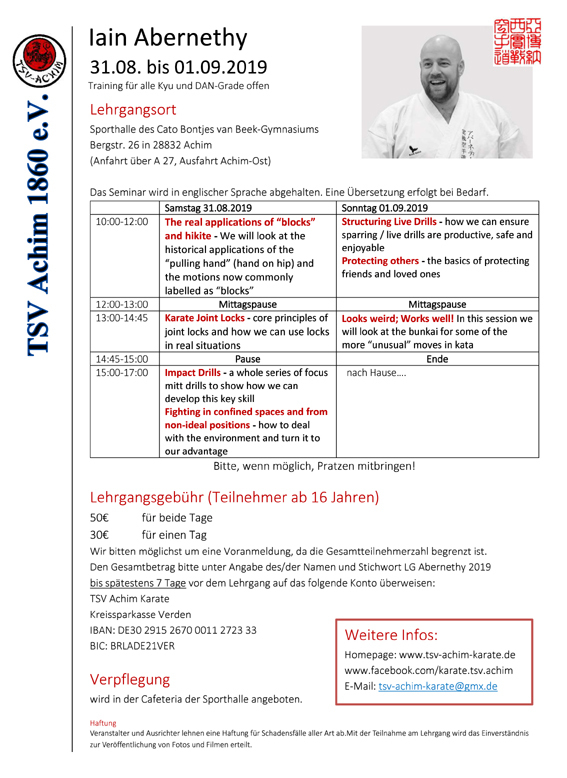 The seminar is open to all styles and will cover the application and history of the “old school karate grappling” we find in the forms and the older texts. 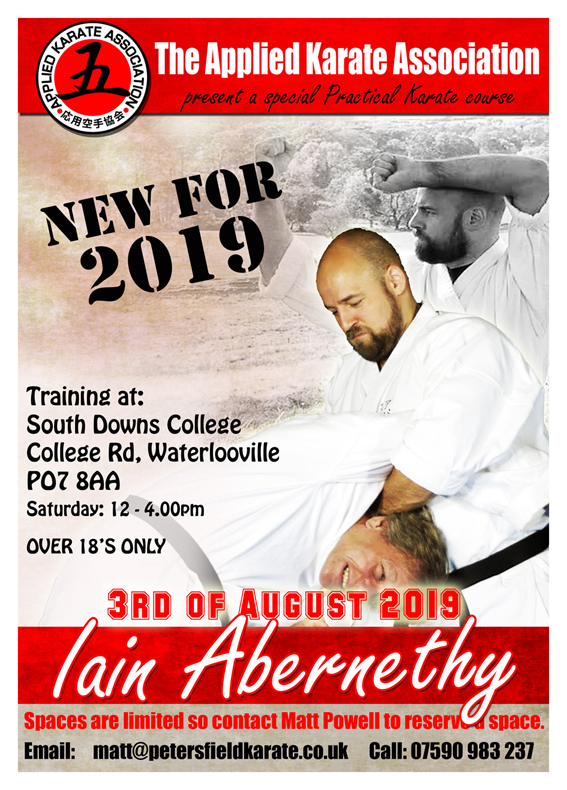 On the 28th of July 2019, Iain Abernethy and Christian Wedewardt will be teaching a joint seminar in the UK! 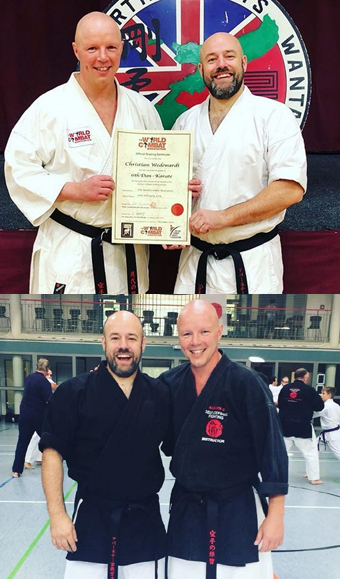 We are delighted that UK karateka will once again have the opportunity to learn from Christian and enjoy his teaching style! Iain is a big fan of Christian’s material and way of teaching! Christian teaches practical karate in a structured, fun and extremely practical way. 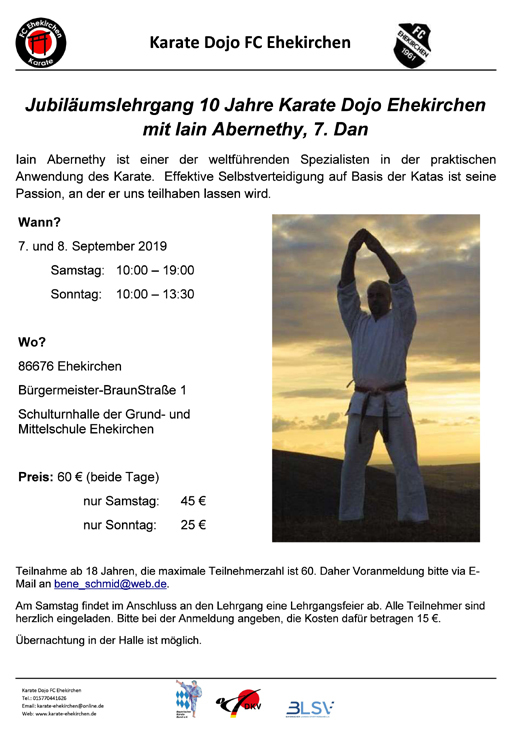 On Sunday 22nd of September 2019 I will be teaching a seminar in Blairgowrie, Scotland! The seminar will run from 1pm to 5pm and the location will be Blairgowrie Community Campus, Elm Drive, Blairgowrie, PH10 6UZ. The theme will be Sochin bunkai and drills. No prior knowledge of the kata is needed. Everyone will be given detailed instruction in the limb-control, close-range impact, and takedown techniques recorded in the kata. On Saturday 19th October 2019 I will be teaching in Exeter! The seminar will be covering the bunkai of the Heian / Pinan series. Gichin Funakoshi said that once the bunkai to this series is understood, the karateka can be “confident of their ability to defend themselves in most situations”. We will explore this truth and show how the kata series does indeed represent a holistic combative system. The seminar will run from 11am-3pm at University of Exeter Sports Park, Stocker Road, Exeter, EX4 4QN (food outlets and facilities are available on campus).